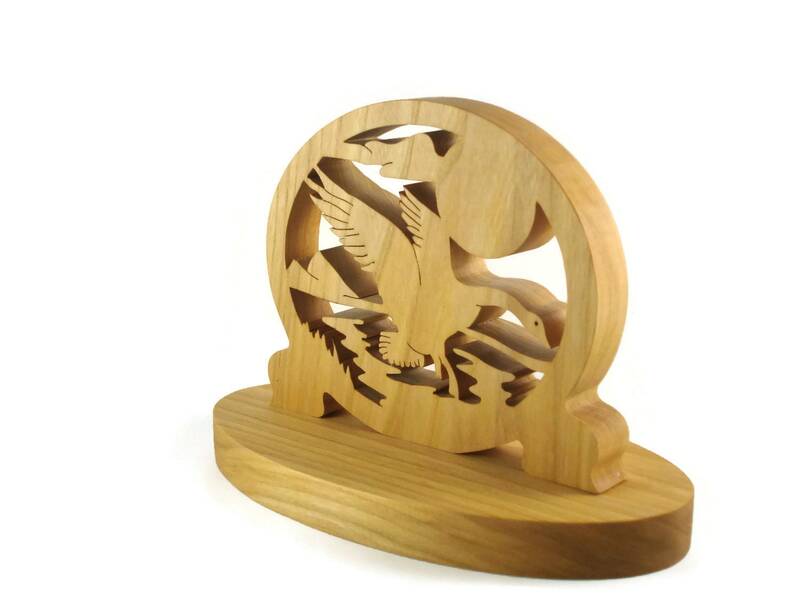 If you or someone you know is into wildlife or hunting then this goose mini desk clock is for you. 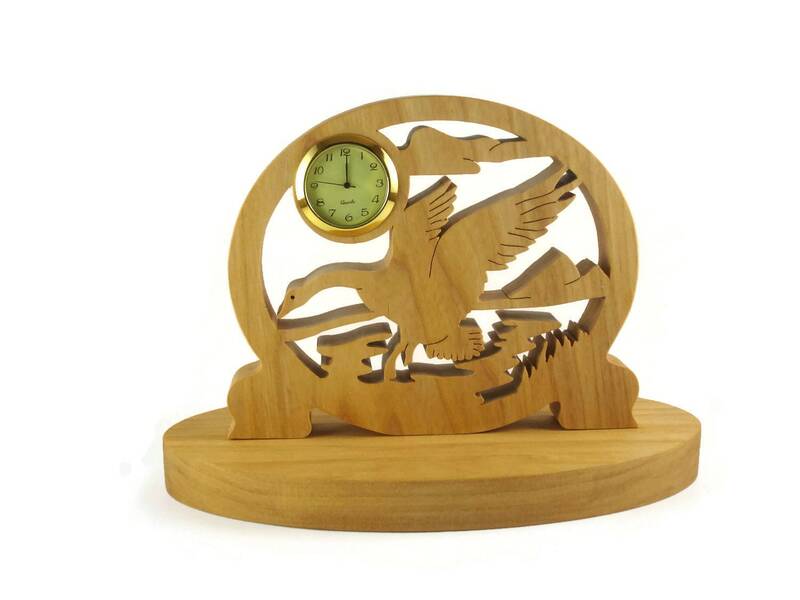 This Maple wood clock features are goose cutout of a oval shape with a country scene. 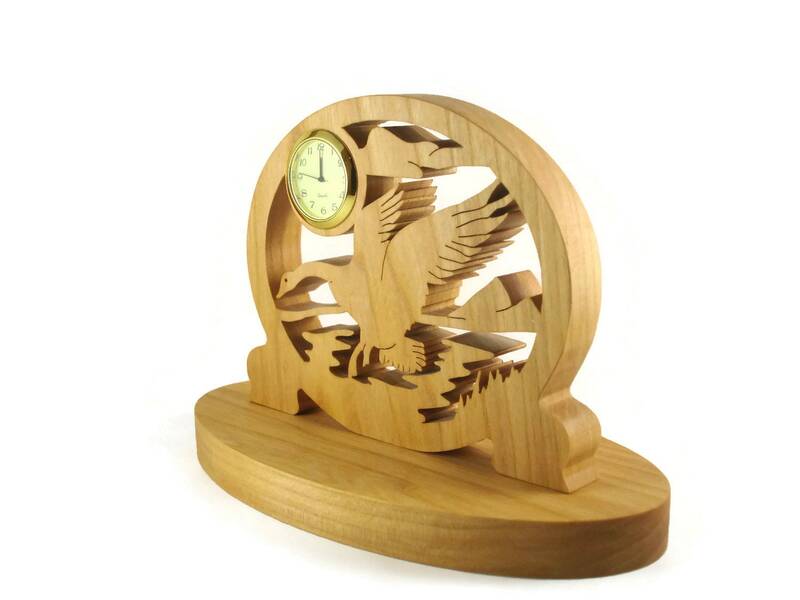 The mini 1-7/16 Quartz clock insert is encased into the sun / moon of this country scene. 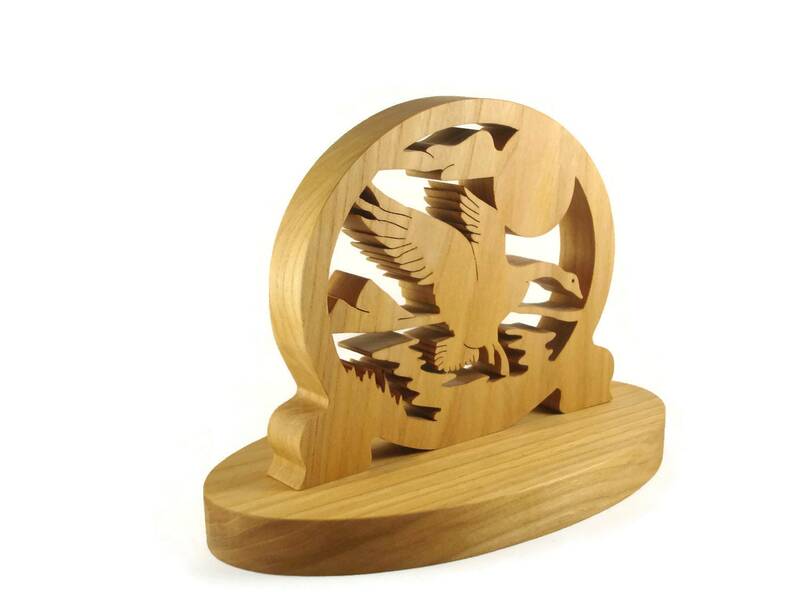 Many other styles available upon request.